Talking Stick Resort, closed for more than a month after a monsoon storm knocked out power and damaged the resort's generators in August, will be back open Monday. 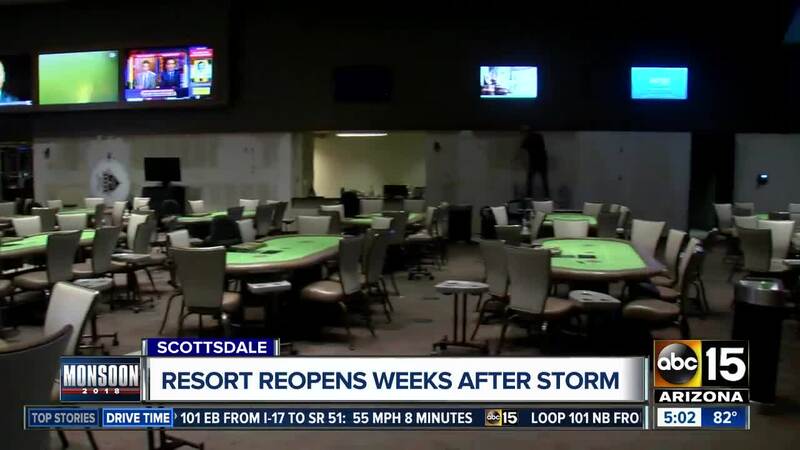 Talking Stick Resort, closed for more than a month after a monsoon storm knocked out power and damaged the resort's generators in August, is officially back open Monday. In a letter posted to the Salt River Pima-Maricopa Indian Community Facebook page, the chair of the board said the resort would be open at noon on September 24. However, the resort opened shortly before then, greeting a group of excited customers waiting for doors to open. The property was severely damaged after heavy rain fell on August 11 that forced the evacuation of patrons and guests. Officials postponed the scheduled reopening several times, citing delays in fixing the damage. "It's been hard work. 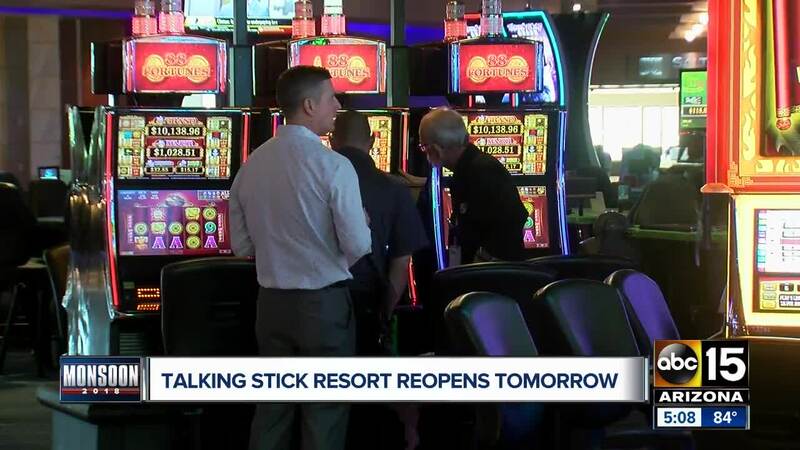 We've had 300 employees and contractors working 24-7 getting this place ready to go," said Ramon Martinez, Public Relations Director for Talking Stick Resort. "The ground had been saturated so the water just flooded in -- and our power distribution boxes and sources and breakers -- are in a basement. So we had eight feet of water that totally destroyed that unit." The damage led to the cancelation of reservations and the postponement of several events that had been planned. "After the dedicated work of several staff and skilled contractors, the necessary repairs were made to restore the property's electrical system and other areas," the letter from Salt River Community Gaming Enterprises Board of Directors chair Crystal Banuelos. "We are very thankful for everyone's support during a very busy time and offer our gratitude to the several hundreds of people who have helped in this effort." Talking Stick's fall concert series will begin with The Life Tour featuring Boy George and Culture Club, the B’52s, and Thomas Bailey of the Thompson Twins on Sunday, Sept. 30, according to a news release announcing the reopening. Martinez said management is taking steps to make sure something like this never happens again. "The meetings are taking place and the engineers are looking at this and it's going to be fixed, definitely," Martinez said.